We’re excited that you are here and would like to learn more about myWindsock.com! Here’s a brief summary of what myWindsock is and how it came about. All text and resources linked from this page are can be published freely. Please contact us directly if you would like any further information or resources. myWindsock was used in the planning of Michael Broadwidth’s successful 2018 Lands End to John O’Groats record attempt. 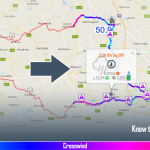 View weather forecasts on a planned route. 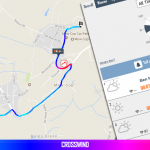 Predict times and experiment with pacing on routes and Strava Segments. 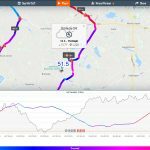 View historic weather conditions on past rides and Strava Segment efforts. 4 of the top 5 in the British National 10 Mile Championship recce’d the course using myWindsock. 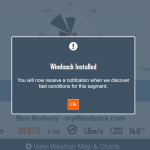 Users can connect their Strava account with myWindsock. 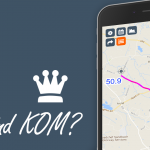 This is the simplest way to access their past actvitities and also locate their KoMs and Strava generated Routes. Pasting a Strava URL into the homepage input box. This works for Segments, Routes and the user’s own Activities. Connect their Ride with GPS account. And finally users can directly upload GPX and TCX files. myWindsock has something of interest for most cyclists. We’ve split the likely use cases into ‘Competitive’ and ‘Recreational’ however there is significant overlap of theses groups. Whether it be recconnaisance for a road race or time trial the tools myWindsock provides are extremely powerful. 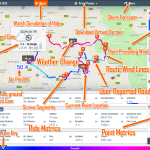 Viewing the cycling specific forecast assists in pacing, equipment selection and mental preparation. View a point by point simulation using the Play button! Many features come alive in post ride analysis. 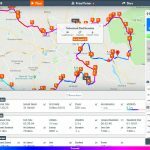 Whether it be a Strava Segment, Activity or an uploaded file, additional features become available. Including a CdA calculation, which is how efficient the cyclist was at cutting throught the air. Learning how the environment affected your race helps to put performances into perspective when making comparisons to previous events. Popular with Time Trialists, our field testing functions are very powerful to cyclists looking to refine their position or compare equipment choices. All rides that have power meter data has CdA calculated. To test a new position a rider simply has to complete a number of loops in the original position, stop to make position change, and then continue to complete further loops. Can you get a Headwind KoM? Ben Norbury who is competitive amateur cyclist, Manchester & District TTA Best All Rounder 2016, 2017 & 2018, first developed what would become myWindsock in the Autumn of 2016. It started with a very basic manual input of wind direction onto the local club 10 course. After showing this to club mates it became clear that it wasn’t just Ben himself who found the map useful. 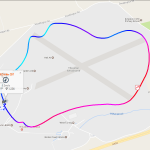 The webpage which by now could have any Strava Segment as the course was shared in the time trial community. The labourious task of looking up the weather and manually entering this into the map soon became problematic, especially when sharing forecasts and was soon automated. 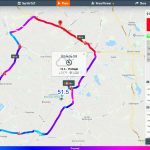 An old project of Ben’s that sourced weather data for Strava Segment Leaderboards was featured on GCN (Global Cycling Network). It seemed obvious to him that the two projects should be merged under the myWindsock umbrella. 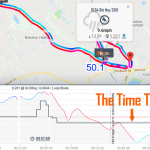 Not satisfied with simply viewing the weather on a course Ben wanted to know if the course would be fast or slow due to the weather and began developing metrics that would require the simulation of a time trial to produce. This opened up new possibilities for the experimentation of pacing to discover the fastest time possible. Beyond this new features such as the myWindsock Virtual Partner, which follows the pacing and battles the weather conditions and terrain, were developed. 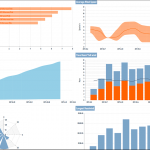 Dashboard shows weather tracked over time. Many features are free to use but require registration. Premium unlocks many more features. Contact us to request a free Premium pass to try them out.